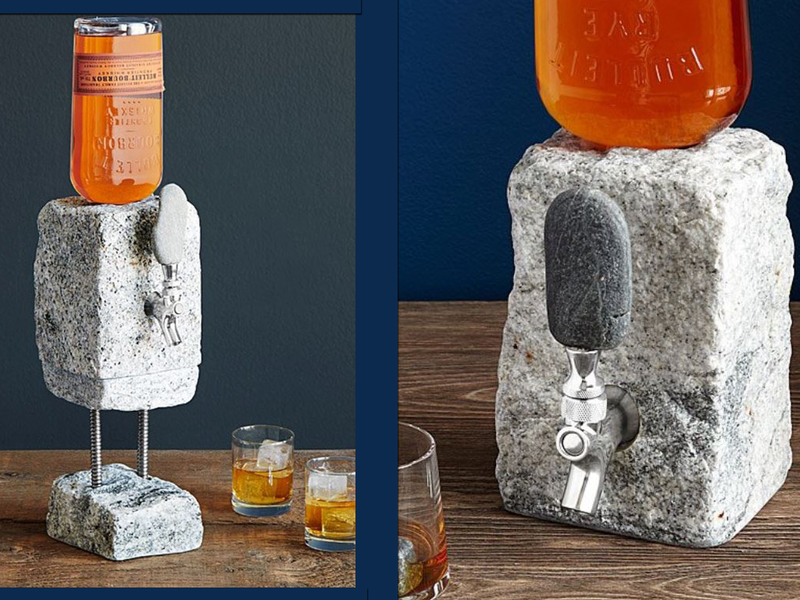 This cobbled granite drink dispenser is made of handcrafted cobbled granite. It features a stainless steel tap to dispense your drinks. The handle on the dispenser tap add to the look because it is made of beach stone. It comes with a stand to hold the dispenser in place. The stand is made of stainless steel. You will find it easy to fill your glass because the stand elevates the dispenser to a convenient angle. There is no need to constantly refill the dispenser. It is designed so that you insert the bottle into the top. The dispenser will dispense drinks from the bottle into your glass. When the bottle is empty simply replace it with a full one.Because of the specially designed plug you can do this mess free. A cool way to serve and enjoy your drinks in style. To add to this look you could accessorise with some stone drink coasters or other cool stone items. Perfect for any industrial style area that features brick or stone. 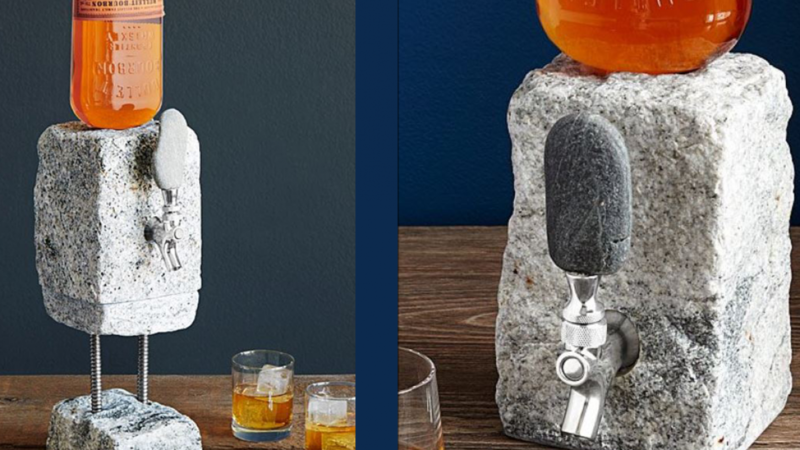 This is very unique looking drink dispenser that is sure to add some character to any home bar. You are sure to enjoy the novelty of this if you have an interest in geology or if you appreciate interesting items. If you like this item you may also like to check out the following cool items.